Today’s customers expect personalized service, quicker response, and impeccable experience. Salesforce is enabling organizations to revamp their customer relationship strategies across channels. We here at CEPTES, aim to help global enterprises get the most out of their Salesforce implementation programs. Our Salesforce consulting services are inclined to increase revenue, boost productivity, and enhance customer engagement while minimizing operational cost. CEPTES is a preferred partner for many global companies when it comes to Salesforce implementation because of our agility, cost-effective solutions, strategic assessment, and faster roll-outs. We are globally one of the most trusted Salesforce implementation vendors. The implementation can be transformational for various industries in order to collaborate, communicate, and offer customer service. After working with multiple industries we understand the business requirements of different business models when it comes to Salesforce implementation. We focus on optimizing business efficiency and consulting each client achieve the most out of the platform. CEPTES has an extensive expertise in implementing Sales Cloud, Marketing Cloud, Service Cloud, Commerce Cloud, Platform Cloud and Analytics Cloud. 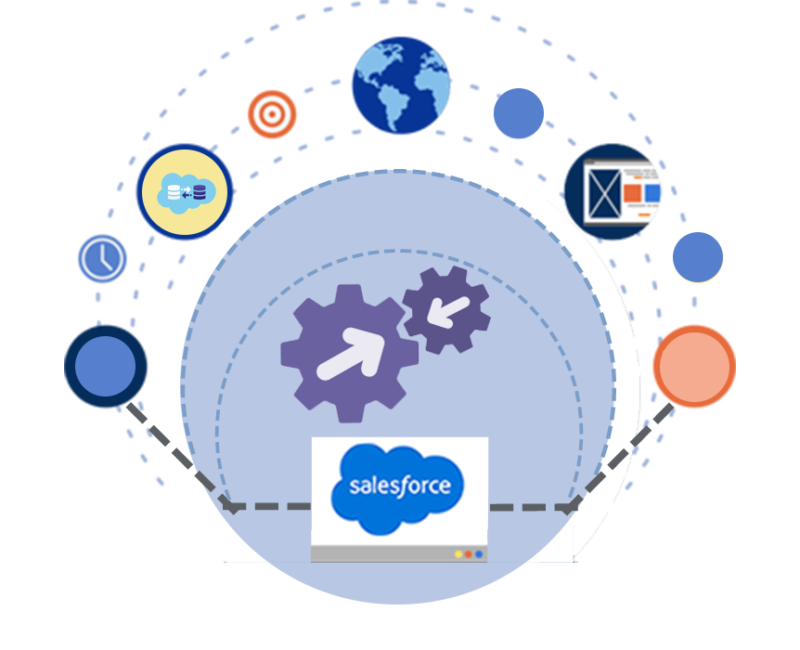 CEPTES is recognized as one of the top-notch Salesforce Integration service providers to global enterprises. We have successfully completed more than 50+ Salesforce integration projects around the world. Our certified Salesforce consultants will help you integrate your data, process, and UI seamlessly with your existing applications. In order to achieve optimum efficiency, highest productivity and cost reduction, you need to integrate other systems with Salesforce. Our integration service will ensure best results in terms of process efficiency and business productivity. In order to implement robust business strategies, at times migration becomes an essential requirement. While integrating any other system with Salesforce, migration comes into the picture. Even at the time of moving into Salesforce.com, you will certainly have to bring in your business and customer data. CEPTES can efficiently manage Salesforce Migration. We ensure the data remains intact, consistent, error-free and secure at the time of migration process. Our Salesforce experts deliver a quick, reliable and optimized solution. 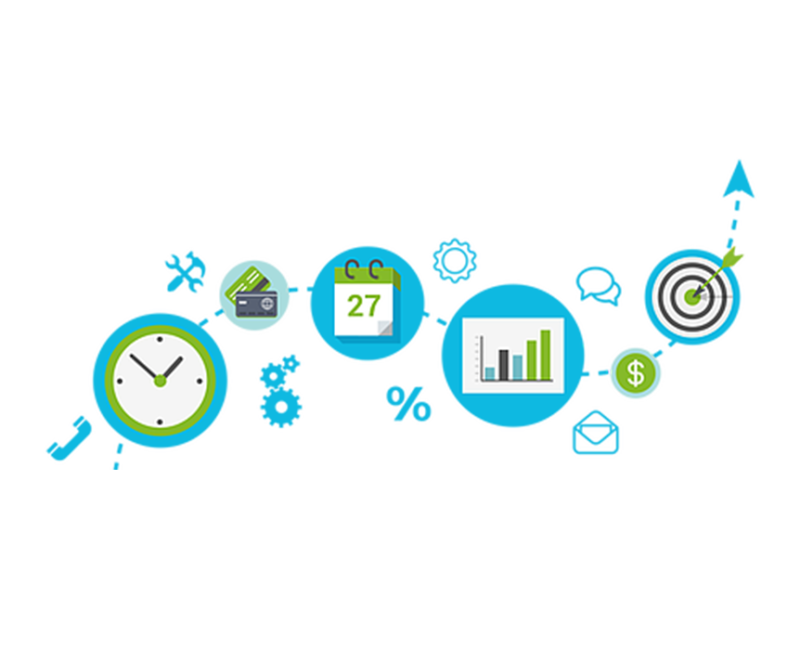 CEPTES specializes in Salesforce customization based on specific business requirement. Our team has helped hundreds of enterprises to achieve their business goals by implementing customized Salesforce solutions. We can develop custom features, interfaces, and functionalities for critical business areas to enable seamless information sharing and customer-centric business decisions. Our innovative custom Salesforce application can boost your business productivity while keeping operational cost minimal. We have got the expertise on customization using Force(dot)com tools on the Salesforce platform. 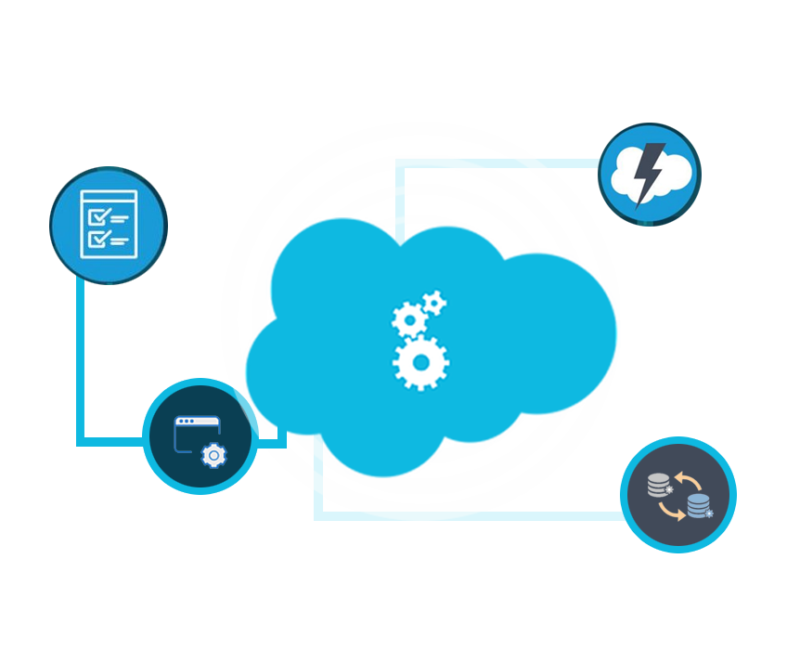 Our expertise and capabilities range from Apex coding to batch scripting, Visualforce pages and Lightning development to offer best user experience. 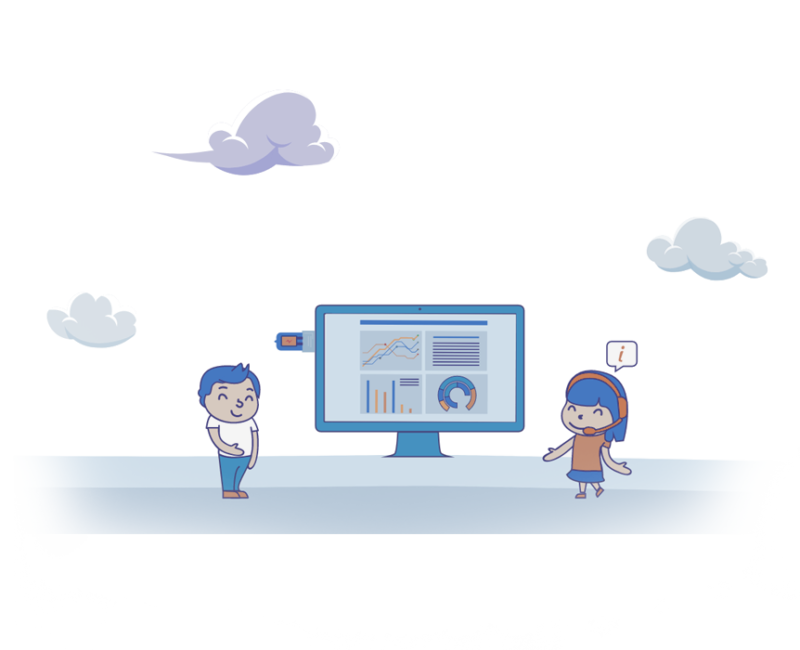 Salesforce platform empowers businesses with leading possibilities and can transform business processes. A successful implementation requires right set of strategies and expertise. 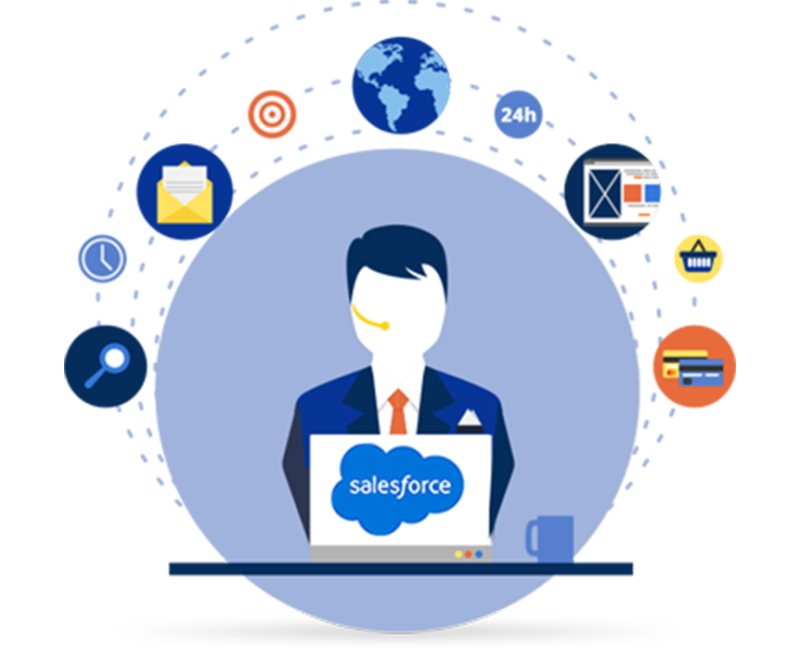 CEPTES can offer you an end-to-end Salesforce solution ensuring effective analysis and road-map, strong implementation, product roll-outs, support, and top-notch consulting. Our Salesforce consulting team have successfully delivered multiple implementations in sales cloud, marketing cloud, service cloud, analytics cloud and commerce cloud to help our clients connect & engage with their customers, partners, and employees in a more optimized process. Ability to align with our customer’s strategic vision. Associated with the right expertise & experience. Applying the latest trends and research. 80% Salesforce certified developers who can define your Salesforce strategy and road-map. We emphasize on transparency and high-end customer service.